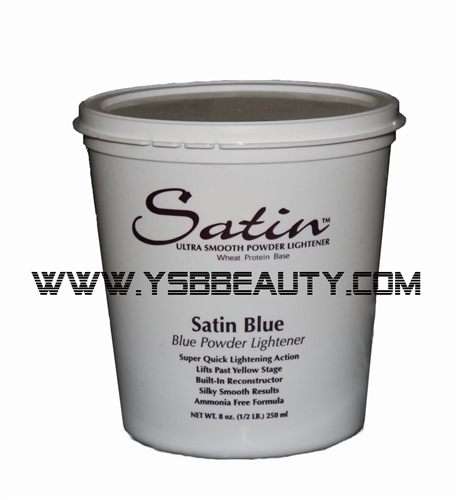 Satin Blue is a dust free, low odor ammonia-free bleach powder. It is extremely gentle on hair and lifts a full 5-6 levels of color. 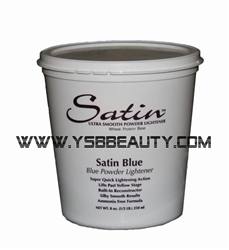 Satin bleach has been infused with a built-in reconstructor which actually works to repair damaged hair during the bleaching process. The end result is silky smooth shiny hair. Developlus SATIN OXIDE 20 VOLUME 6 OZ Developlus SATIN OXIDE 10 VOLUME DEVELOPER 6 OZ Developlus SATIN OXIDE 40 VOLUME 6 OZ L'Oreal Quick Blue Powder Lightener 1 lb.